Do you sometimes behave irrationally or impulsively? Do you face some situations with fear and trepidation? Do feelings of self-doubt consume everyday activities? Leading Consultant Psychiatrist, Dr Steve Peters, knows more than anyone how impulsive behaviour or nagging self-doubt can impact negatively on our professional and personal lives. In this, his first book, Steve shares his phenomenally successful mind management programme that has been used to help elite athletes and senior managers alike to conquer their fears and operate with greater control, focus and confidence. 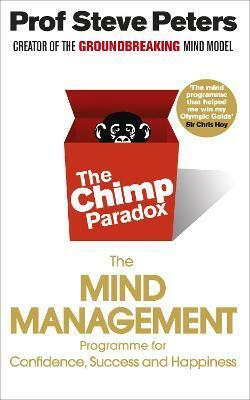 Seemingly complex concepts are made simple with the use of memorable analogies - such as the \'chimp\', that seemingly irrational and impulsive being that inhabits our minds - and real-life case studies. Never before will you have had such a deep and clear understanding of your own behaviour and natural responses to certain people or situations. This knowledge, combined with simple techniques that can be easily incorporated into daily life, will help you to control your emotional impulses and reach your full potential, leading to success at work and a happier, harmonious home life. "He is the best. I’ve played my most consistent form for Liverpool and England since seeing Steve."